Like so many automotive issues, the timing belt is not something to neglect. When a timing belt snaps, a vehicle becomes undriveable. It can devastate an engine, making it necessary to replace the whole thing. The best way to avoid this kind of breakdown is to regularly have the timing belt replaced, before it wears out. Federal Way Automotive & Radiator has the expertise for your timing belt replacement near Edgewood. Our experienced, certified technicians will inspect the state of your timing belt. If it shows signs of wear, we will suggest a timing belt replacement. Often times the wear on a timing belt will not be overly apparent. For that reason, we suggest proactively replacing the timing belt every 60,000 miles. This way the belt should be new enough to never pose a threat to your engine. 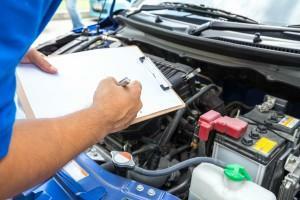 Does your vehicle have an “interference” or a “non-interference” engine? How often does the owner’s manual recommend a replacement? When is the last time the belt was replaced? You may not know when the last timing belt change took place on your vehicle. Our technicians have on hand the specific information suggested by the manufacture of your vehicle. We can determine when your next change should take place. All our work is backed by a one-year/12,000 mile warranty on parts and labor, so you can count on quality from us. Having served the residents of Edgewood since 1982, we have caring staff and skilled technicians our customers have come to rely on. What are the signs that you need a timing belt replacement? from one braking is to get a timing belt replacement as suggested by your owner’s manual. Don’t have one? We can advise you on the specifics for your vehicle. While 60,000 miles is the average recommendation for changing a timing belt, there are some models that have longer mileage recommendations. 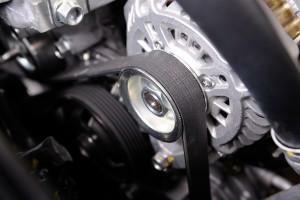 A timing belt does not elongate or stretch out; instead, it becomes brittle with time. The more brittle it is, the higher the risk that it will break. You should never reuse a timing belt. If you have an engine rebuilt or are getting a timing belt replacement, it should always be done with a new timing belt. The placement of a water pump in a vehicle is close enough to the timing belt that they are often replaced together. The labor and costs will be more economical than getting each of these services done alone. Contact us today for your timing belt replacement near Edgewood. Find out why excellent service has put us at the top of the list for car repair in Edgewood and the surrounding area. No more squeal thanks to the fellas down at Federal Way Automotive. Woo-hoo!